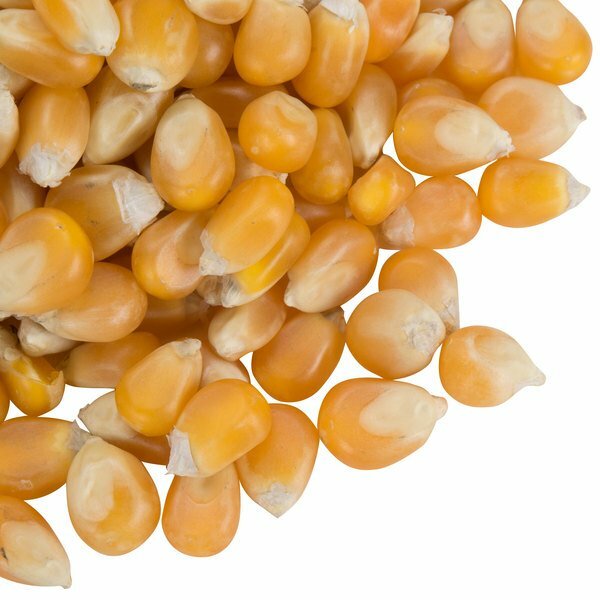 These Reist Popcorn HI-POP kernels produce delicious-tasting, mushroom-style popcorn that will keep your customers coming back for more. Popcorn is the perfect light snack that your customers can munch on all throughout the day. Whether it is seasoned with sweet or savory flavorings or used with traditional salt and butter toppings, popcorn is sure to boost impulse sales and delight your guests of all ages! 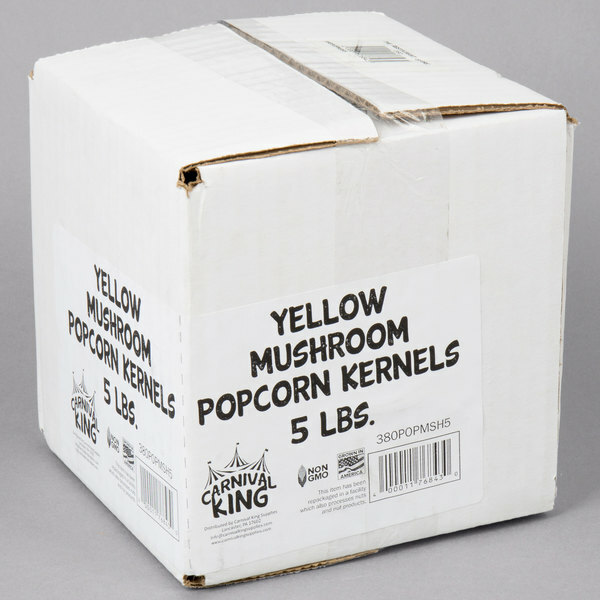 "The Reist 50 pound HI-POP organic mushroom popcorn kernels were an excellent find. 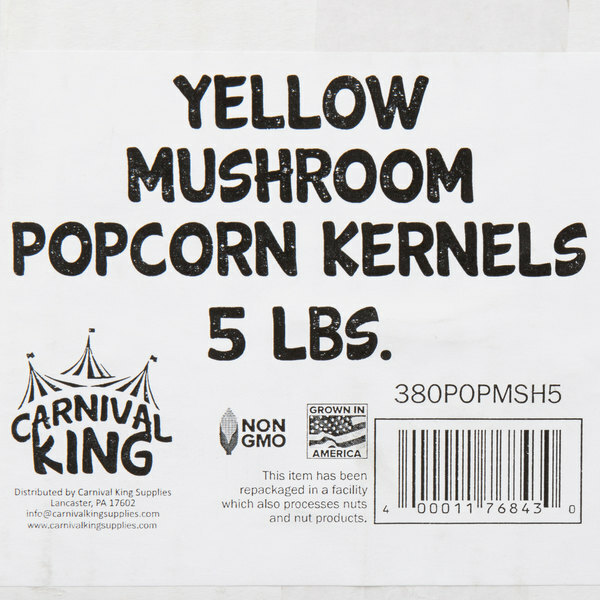 I can not find organic kernels around my town and love the quality of the popped kernels. A great taste as well." In contrast to butterfly-style popcorn, mushroom popcorn is denser and more compact. This mushroom popcorn's large size offers more surface area for coatings and glazes to stick to. Since mushroom popcorn does not include any breakable "wings" like butterfly popcorn, it holds up well against stirring and coating processes. It's the popcorn of choice for caramel corn and kettle corn, and it can be used to add gourmet glazes for decadent, sweet popcorn treats! 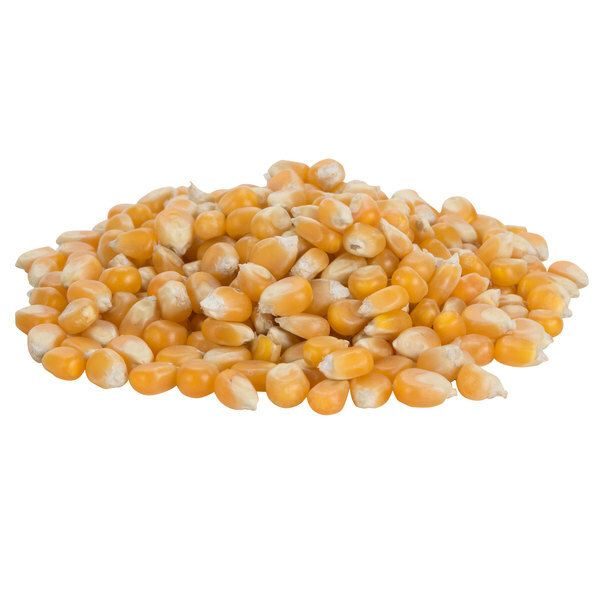 These kernels deliver a consistent product each and every time. Simply follow the instructions on your countertop or freestanding popcorn machine to properly prepare. 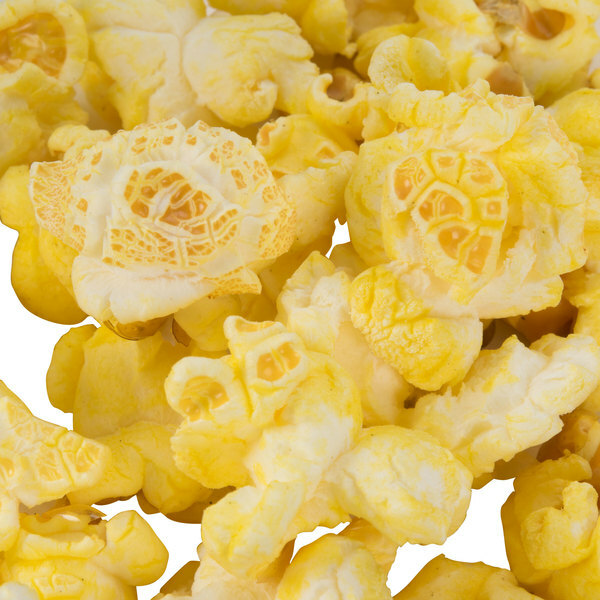 When popped, these kernels feature traditional yellow color that will grab your customers' attention, ensure high-volume output, and maximize profits! What’s the difference between mushroom popcorn and butterfly popcorn? The primary difference between mushroom and butterfly popcorn is the shape of the kernel. 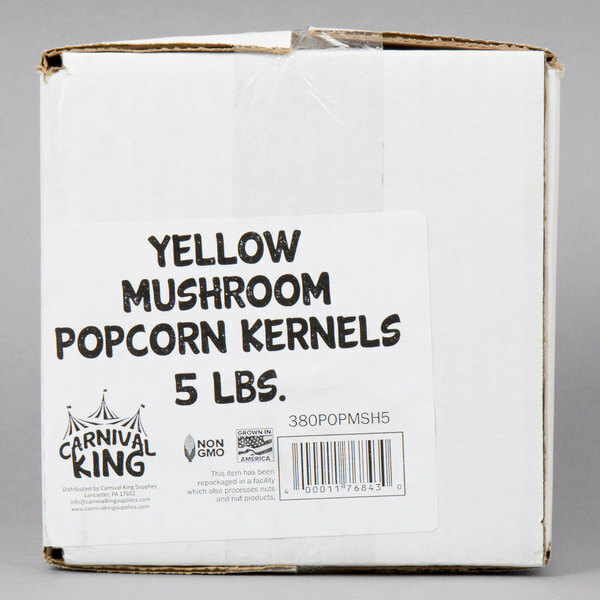 Mushroom kernels are more round and compact which provides a larger surface area for coatings to stick to, making it perfect for gourmet confections such as kettle and caramel corn. 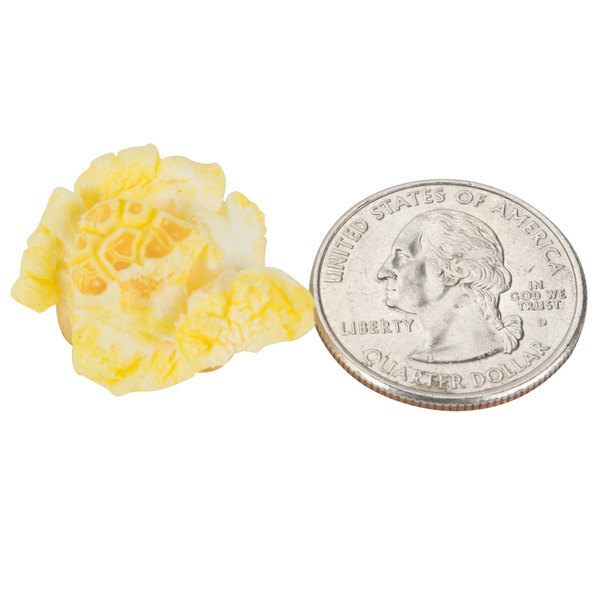 Butterfly popcorn has a more irregular shape with a number of protruding wings that allow butter and salt to be trapped underneath, making it great for movie theatres and concession stands. My mushroom popcorn resembles the shape of butterfly popcorn, what am I doing wrong? Mushroom popcorn requires a high temperature of at least 400 degrees in order to produce enough steam to open the kernels into their round shape. Popping mushroom popcorn at too low of a temperature or in the microwave will likely result in butterfly-shaped kernels. For best results, use the hot air of dry flow-through machines to achieve the perfect mushroom kernel. Although hot oil can also be used when making mushroom popcorn, a lower percentage of round kernels will result. The Reist 50 pound HI-POP organic mushroom popcorn kernels were an excellent find. 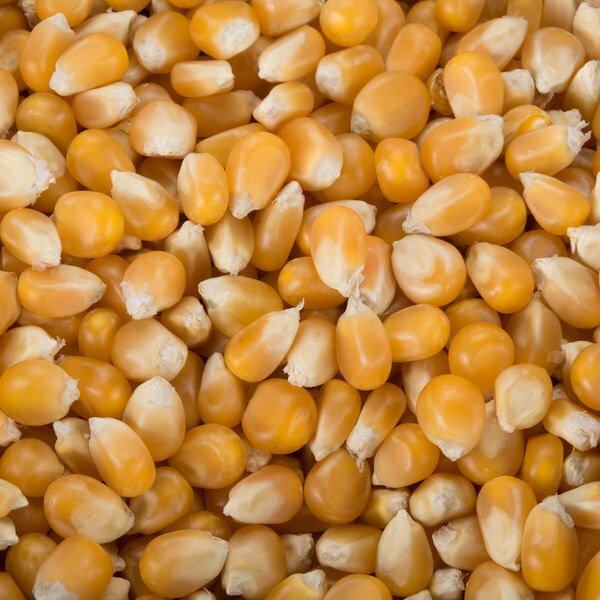 I can not find organic kernels around my town and love the quality of the popped kernels. A great taste as well.